Sometimes you just need to get out of the house. If you stay home you’re just going to clean and attempt to tame the laundry beast. Does anyone else manage to accumulate a 6 week laundry mountain? But suddenly you’ll find the sun is setting on a Sunday evening. The house might be clean, but no fun was had. Tragic. What’s the point of living in Hawaii if you can’t get out and play? That’s how we found ourselves driving North one weekend. Stuck in traffic and without a plan. The kids grumbled and complained from the backseat. Where are we going? How long is going to take? What, in exact detail, are we going to do once we get there? Spontaneity seems to be painful concept for them. We got as far as Turtle Bay and decided to stop. It had been almost 5 years since our last visit and it wasn’t particularly memorable. We walked down the path free of expectations and emerged into an idyllic scene. A fate of tides and the season had left the perfect swimming hole. 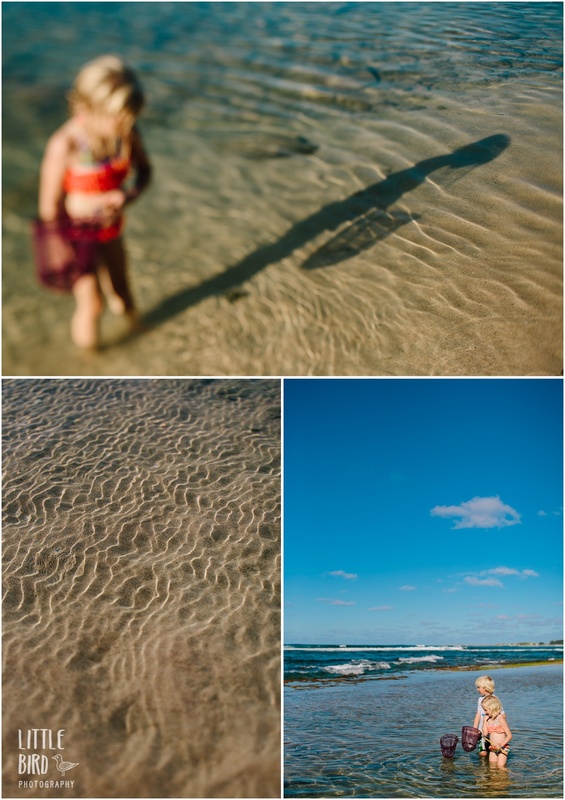 A gentle wind rippled the water’s surface as toddlers splashed, kids fished, and parents lounged on the warm sand. 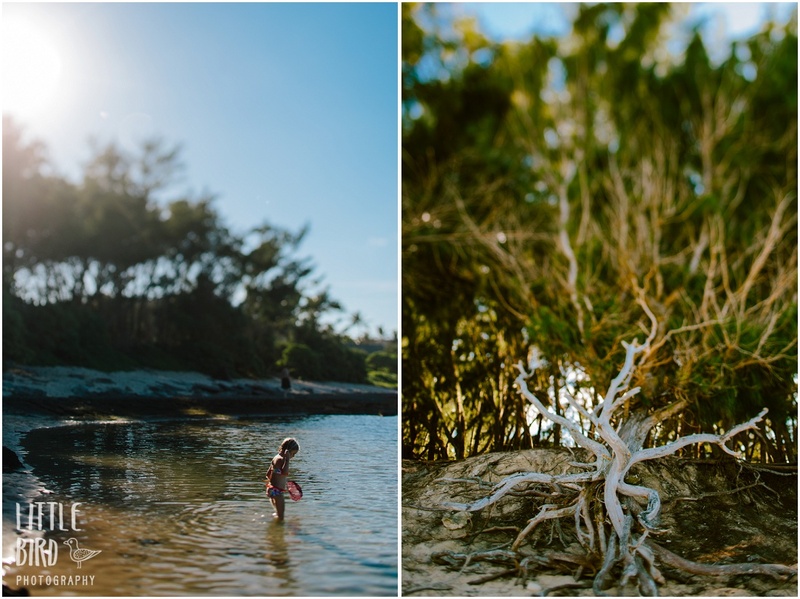 The tidepools were teeming with hermit crabs and we spent hours exploring. 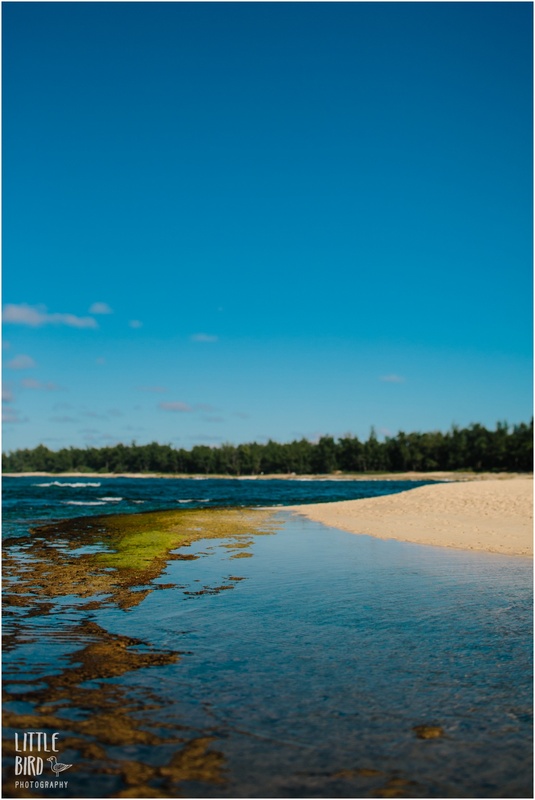 You don’t have to be a beach person to love Turtle Bay. Stop by the resort for dinner or cocktails and drink in the glowing sunset. Need more ideas? Sign up for the Little Bird Post below to receive monthly updates on Oahu family fun!